PLEASANTON, CA--(Marketwired - Mar 19, 2015) - ZELTIQ® Aesthetics, Inc. (NASDAQ: ZLTQ), a medical technology company focused on developing and commercializing products utilizing its proprietary controlled-cooling technology platform, today announced it is showcasing its CoolSmooth PRO™ applicator, a second generation surface applicator featuring non-vacuum based cooling to treat non-pinchable fat bulges such as the outer thigh area, at the American Academy of Dermatology (AAD) Annual Meeting in San Francisco, March 20-24, 2015. A live CoolSmooth PRO demonstration will be performed during the panel entitled "Sculpt a New Vision of Your Practice with CoolSculpting®." Medical aesthetic experts Drs. Suzanne Kilmer, Elizabeth Tanzi, Nick Lowe and Jill Waibel will be speaking about how the CoolSculpting procedure has revolutionized their practices. The panel takes on Sunday, March 22, at 6:30 p.m. in the Yerba Buena Room of the Four Seasons Hotel. 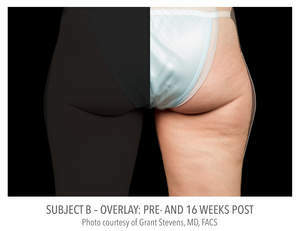 Earlier this year the company received Food and Drug Administration (FDA) clearance to perform the CoolSculpting® procedure at lower temperatures, enabling shorter treatment times. The new treatment parameters are initially being offered with the CoolSmooth PRO applicator, which also includes an enhanced strapping system that provides increased conformity at the treatment site, while also improving ease of use and patient comfort. ZELTIQ plans to offer current CoolSmooth customers an exchange program to facilitate access to the new technology. 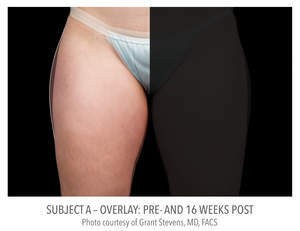 To learn more about the CoolSmooth PRO applicator and the CoolSculpting procedure, visit ZELTIQ at AAD booth 2506 in Moscone Center South during exhibit hours on March 21-March 23, 2015, 10 a.m. to 5 p.m.